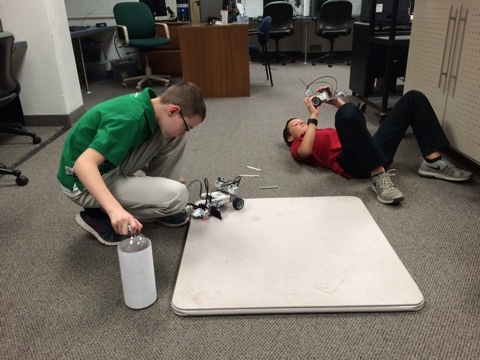 This year we will have two different sections to the Robotics Club. 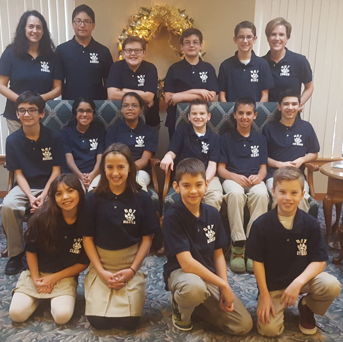 Before Christmas we will have an intensive group that will be preparing to compete in the First Lego League Competition. 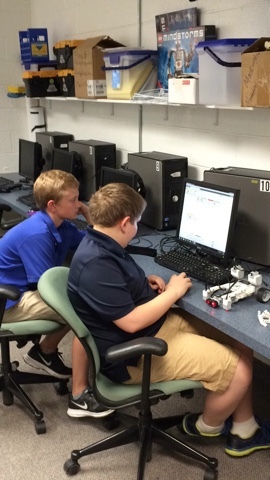 This team will meet every Monday after school in the computer room and also have additional sessions on some Friday evening . This team will have a maximum of 12 students. Starting in January we will have 2 different classes meeting every other week on Monday after school in the computer room. 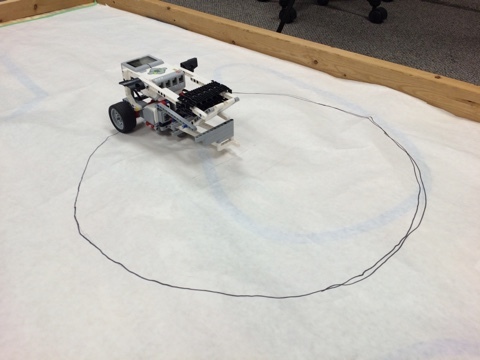 One week will be a beginning class to learn the basics of our MINDSTORMS Robots and the other will do more advanced robotics projects. 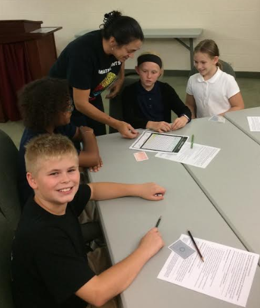 These class sessions are open to all students in grades 4-8. American Heritage Girls is the premier national character development organization for young women that embraces Christian values and encourages family involvement. The Mission of the American Heritage Girls is "Building women of integrity through service to God, family, community and country." 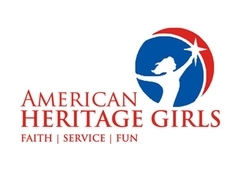 Any girl age 5-18 can be an American Heritage Girl. Girls of all different backgrounds are welcome and are encouraged to join at any age! You don't have to start as a Pathfinder (age 5) in order to gain the benefits from participating in the AHG Program. The AHG troop at Guardian meets twice a month at 4:15-6:00pm on Fridays. The girls participate in many activities together with emphases in life skill enhancement, social development, girl leadership, developing teamwork and building confidence, spiritual development, and character development. 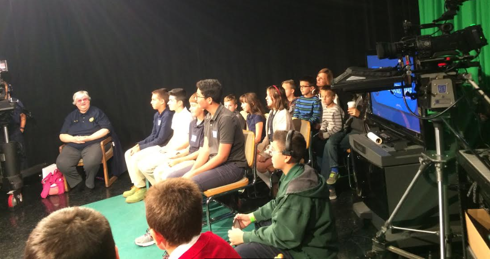 Club meetings are after-school until 4:00 pm in the Parlor for Kindergarten – 4th grade! 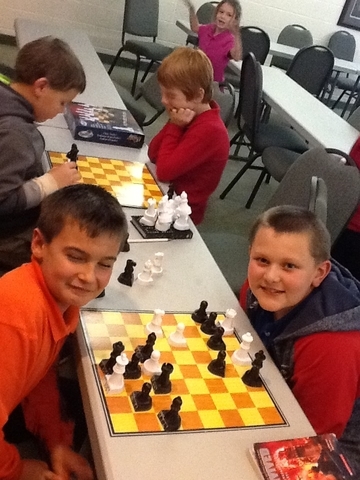 OUR PRIMARY GOAL is for students to have FUN while they learn chess or improve their chess skills, in a relaxed, supervised atmosphere, while developing their mathematical brain pathways that will support their future mathematical reasoning skills. Also our goal is for students to DEVELOP GRACIOUS PROFESSIONALISM & SPORTSMANSHIP skills as they compete with their peers. 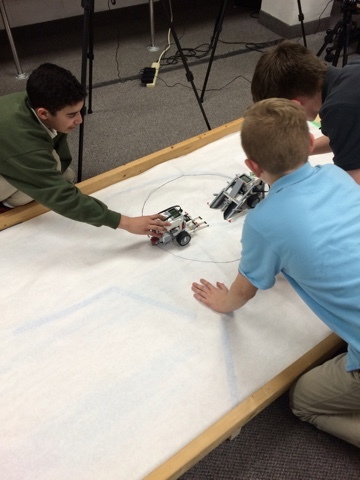 5th – 8th graders come out and work with the younger learners, growing leadership skills. 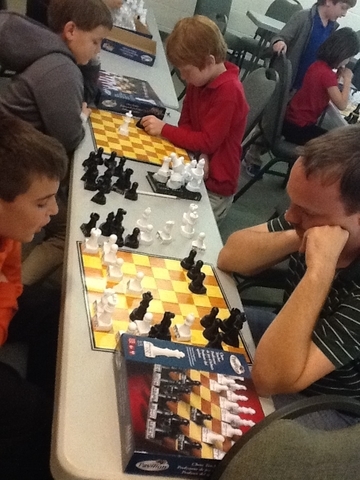 These 5th – 8th grader coach assistants strengthen their chess skills (or learn chess), as well! This is an activity that allows for participants to come as they can and miss as they need, allowing more freedom for the parents/caregivers. 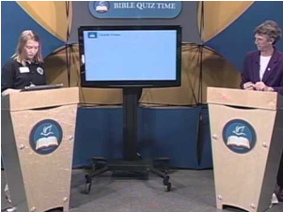 By participating in Bible Jeopardy and Bible Pictionary, as a member of the Bible Quiz Team (BQT) members enjoy engaging fun practices, and work towards competing on a TV studio game show called Bible Quiz Time that is filmed in the studios of University of Michigan, Dearborn and airs on Dearborn cable television. 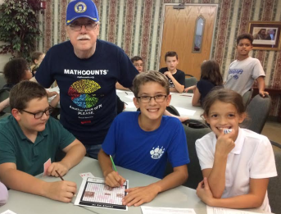 Bible Quiz Time was established to train and engage young people in learning Biblical facts, in a fun and relevant manner. Even though Bible Quiz Team is a competition team, the primary goal is always learning God’s word, retaining it, and enjoying the process together! 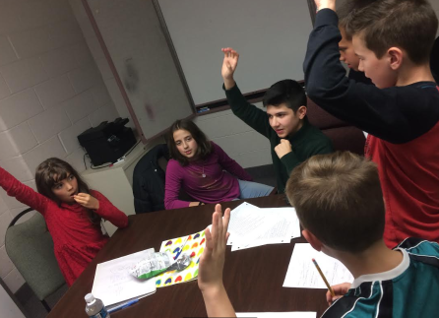 On the Bible Quiz Team, we place the highest priority on teaching Christ, exemplifying God’s character qualities in all that we do, maintaining academic excellence inside and outside of class meetings, conducting ourselves as the bible teaches us, and having LOTS OF FUN! Club M3 meets during middle school study hall once a week.